With spring finally in sight, there’s no time like the present to start introducing those new season wardrobe staples. We’ve picked out some of our favourite looks from the brand new SS18 collection at Zara, and we’re sure you’ll love them as much as we do! So let’s start with an outfit that’s actually a sensible buy with your recent paycheck, your work wardrobe of course! 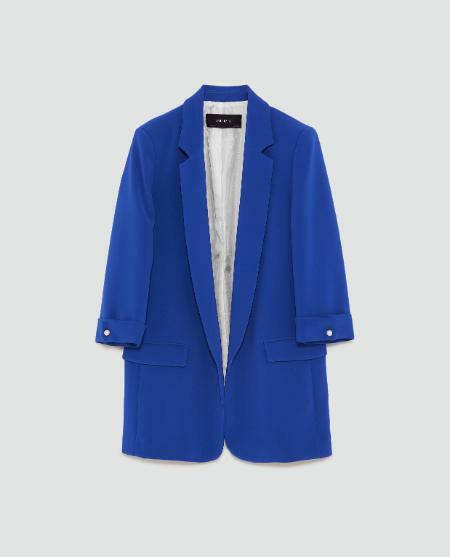 Whether your workplace is formal or slightly more relaxed, this blazer is ideal! The royal blue colour palette adds a modern twist and the pearl bead details give it a lovely feminine touch. Pair with smart trousers and shoes or a pair of jeans and boots depending how smart you want to be. 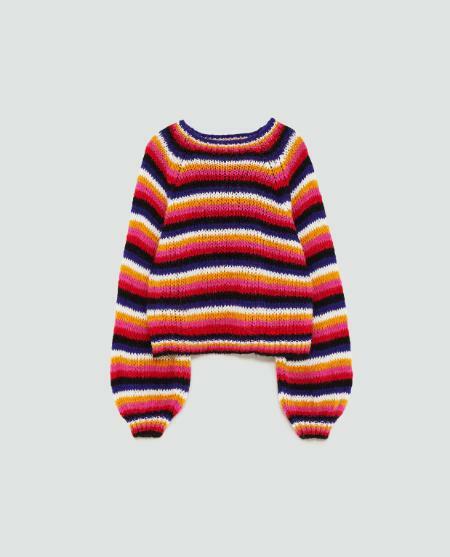 Another sensible purchase would be this fabulous multicoloured striped sweater, because although the new season is creeping closer each day, unfortunately the temperatures have another plan! So it’s important that you still remember to wrap up warm, but the colour pop in this outfit will make that an easy task! If you’re more of an impulse shopper and don’t put practicality at the top of your list, then high five sister! 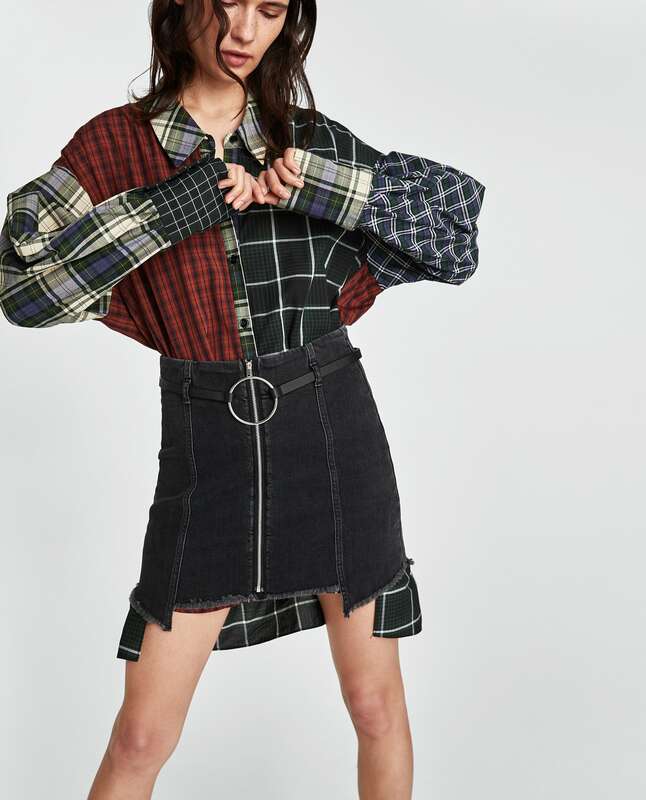 This zipped mini skirt (with the funkiest belt we’ve seen in a LONG time!) is top of our new season wishlist! Whether you wear it with a pair of thigh highs or save it for summer, we think it’s a must-have! If you get bored of wearing jeans day in day out, then these checked jogging trousers will be a breath of fresh air! Say goodbye to your wardrobe full of 50 shades of black and introduce some lighter tones. These light grey trousers with an emerald green stripe are perfect for welcoming in the new season. Be sure to head in store to Zara today to explore their entire new SS18 range, we promise you won’t be disappointed!